With a flash of an eye, it’s already hit May! Where has the time gone? and seriously what was up with the April snow?! I am glad that we somewhat get some rays of sunshine this Spring and been able to bring out the lighter jackets! I have a huge love for trench coats; am I am still eyeing up the one and only Burberry Trench, but until that happens, I guess I just need to find substitutes for now. 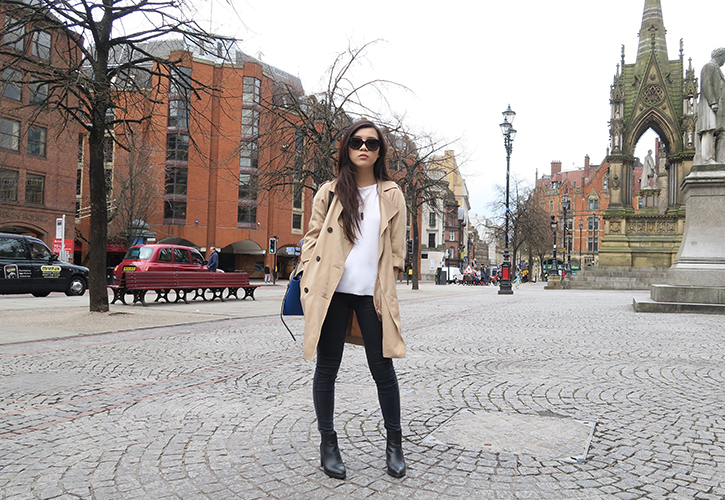 I personally like this trench (Topshop) as I find the fitting is well and I extremely like the rolled up sleeves; as it creates an overall effortless and casual look to an outfit. Because of this, I feel that its more practical as the majority of jackets I have, I tend to roll up all the sleeves also. 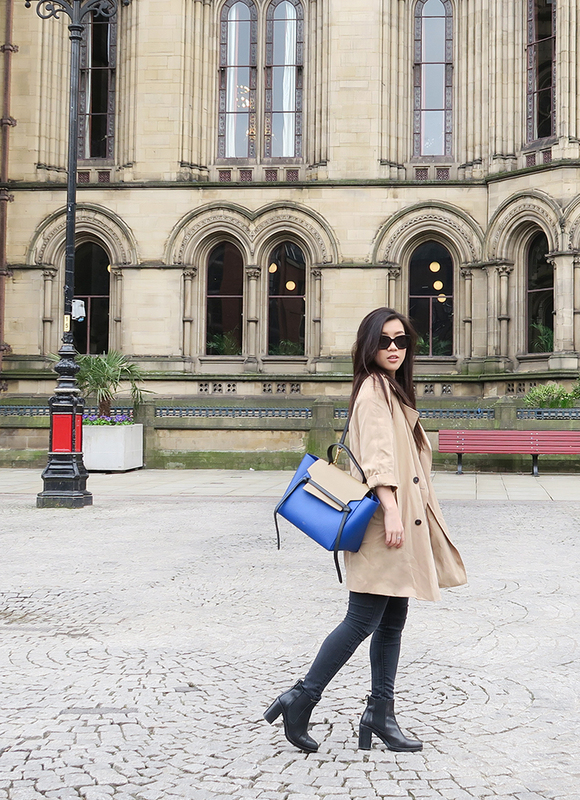 As I’ve paired the trench with some skinny jeans, it was only right to add some Chelsea boots into the mix. The statement bag also adds a pop of colour to this overall look; I’m pretty sure you guys know by now that I keep everything to the minimal. I hope you guys have enjoyed this simple outfit look, the weather is getting sunnier and brighter so I have more in store for you guys! So check back soon for new outfit posts, reviews and shopping hauls as I have been accumulating a lot of things to put up here! If you want more updates, be sure to follow me on my Instagram or say hi on Twitter! I was just thinking about pulling out my tench coat today! I agree it's the ideal effortless outerwear for in between seasons 🙂 Can't wait to see your hauls!